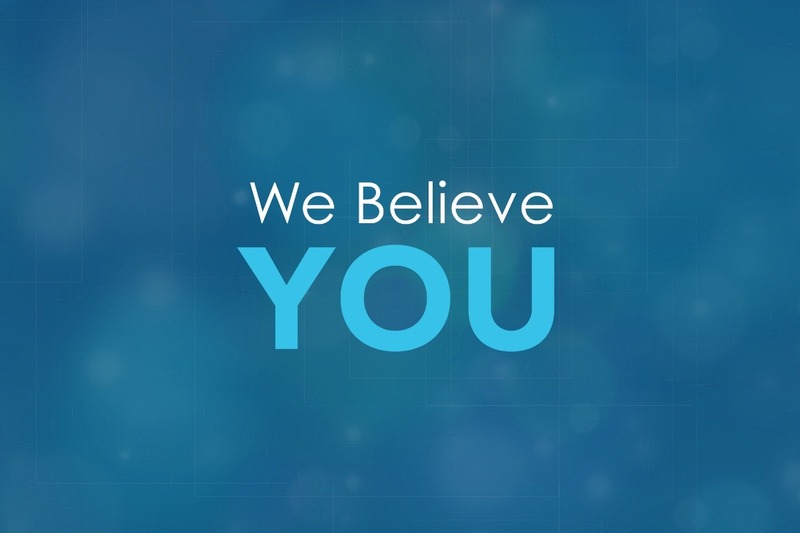 Fundraiser by Belinda Runkle : We believe you. Support RAINN. Thanks so much to everyone for your generosity in donating to RAINN. We reached our goal of $25K, a momentous achievement in 3 short days! Artur Bergman (@crucially) and I have added our matches so now each of your dollars given has 3x the benefit for RAINN, who operate the National Sexual Assault telephone hotlines which have seen peak call volumes this week. Together we've raised over $75,000 for RAINN! This campaign's success has been multiplied by the redirects from Dr. Ford's GoFundMe page which has since closed. Thanks to so many of you that were so deeply inspired by Dr. Ford, your comments as well as your generosity were awe-inspiring. We have closed this campaign today since our matching goal is complete, and we want to ensure that we direct other supporters of survivors directly to RAINN's website. Please give as you can, share with others, and most of all, care for yourself and those that you love who have been affected directly or indirectly by sexual assault. Thanks so much to everyone for your generosity in donating to RAINN. We reached our goal of $25K, a momentous achievement in 3 short days! Artur Bergman and I have added our matches so now each of your dollars given has 3x the benefit for RAINN, who operate the National Sexual Assault telephone hotlines which have seen peak call volumes this week. This campaign's success has been multiplied by the redirects from Dr. Ford's GoFundMe page which has since closed. Thanks to so many of you that were so deeply inspired by Dr. Ford, your comments as well as your generosity was awe-inspiring. We will be closing this campaign today since our matching goal is complete, and we want to ensure that we direct other supporters of survivors directly to RAINN's website. The outpouring of generosity for RAINN has been nothing short of AMAZING! In addition, an incredibly generous donor, Artur Bergman, the CEO of Fastly, has committed to match my donor matches. That means your donations are now worth 3X!!! Let's get to $25K today and help RAINN to support survivors, today and every day. Please share and retweet as you feel appropriate!